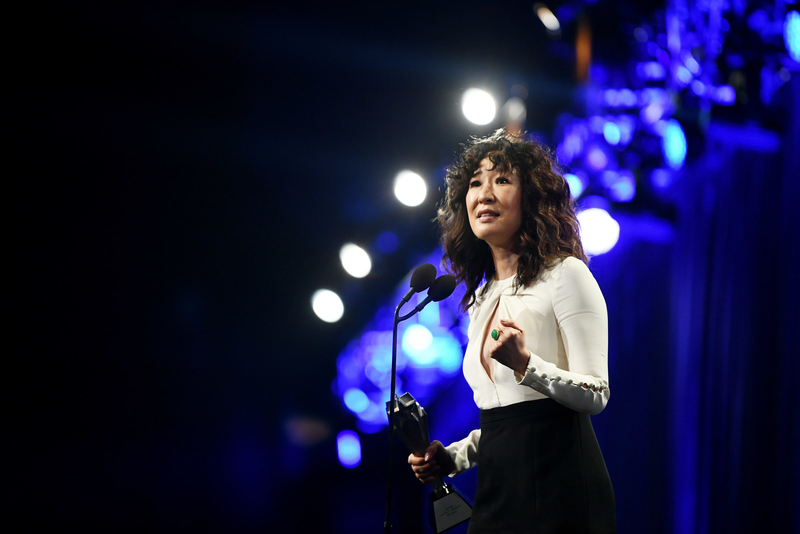 In case you missed the Critics' Choice Awards, Sandra Oh won the award for Best Actress in a Drama Series. It's one of like five billion she's won for Killing Eve. And during her beautiful speech, Sandra took a moment to give a shoutout to her co-star, Jodie Comer. There's one person who is my obsession, my other half. The person who's pushed me to the limit and that is the incredible Jodie Comer. Thank you so much. When it shows the two of us on set, there is just, the entire world goes away and I'm so appreciative of your trust and your talents. Basically, find someone who looks at you the way Jodie looks at Sandra.